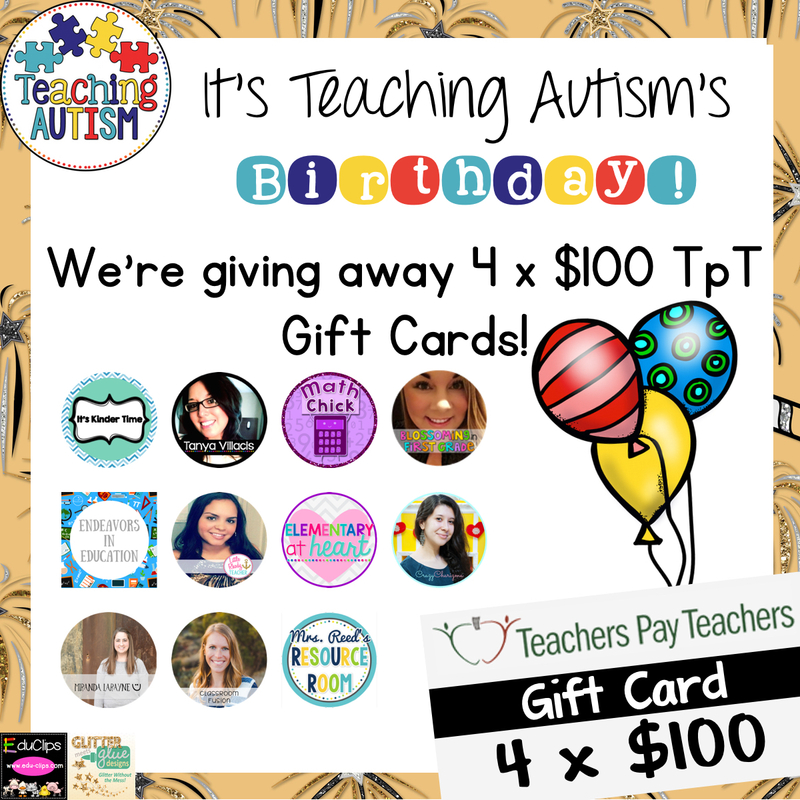 Endeavors In Education: Massive Giveaway! You do not want to miss this! 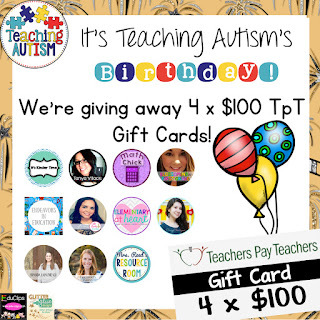 I am teaming up with so many great teacher authors to give you FOUR chances to win $100 TpT gift cards in honor of Teaching Autism's birthday (Happy birthday!). 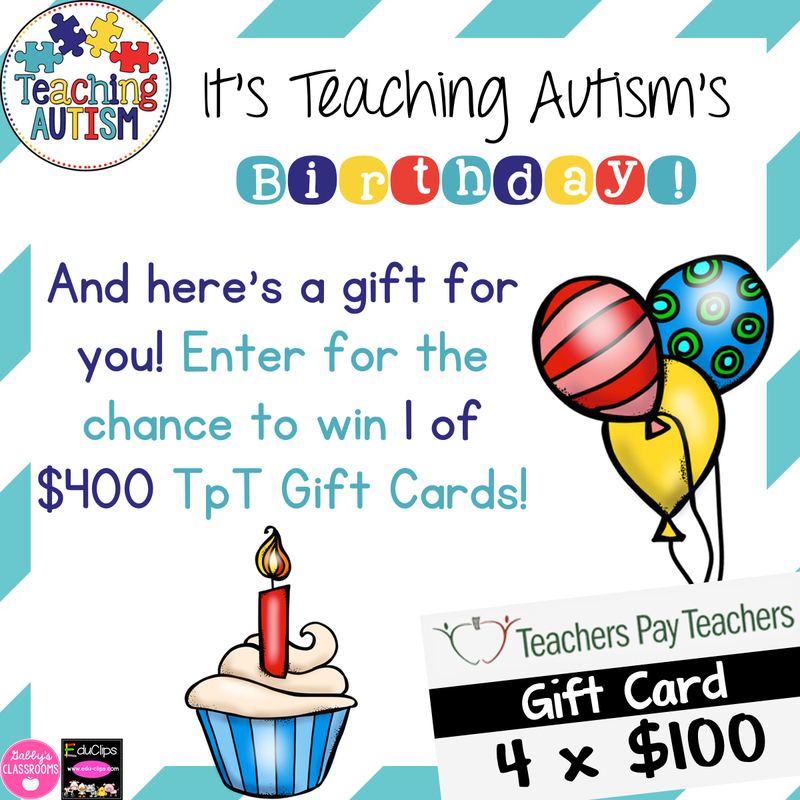 You have until February 28th to enter! This giveaway is so big there are four Rafflecopters! Have fun entering and good luck! Click the links and make sure to enter all four raffles!